StrutWise Technical Services was established in Vancouver, Canada in 2000. 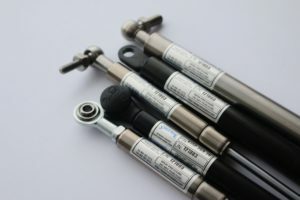 We think that that there is a better way to provide more cost effective replacement and re-service options for gas struts. We have serviced struts for customers not just here in Vancouver but from all over Canada, and internationally including the United States of America, the United Kingdom, Australia, New Zealand & many more. We have many satisfied customer which you can read about from their personal testimonials on our great service here. We can service ALL types of gas struts. When we refer to servicing gas struts, we mean that we can service ALL types of gas struts. At StrutWise Technical Services we refurbish gas struts commonly found in your in automotive vehicles, aircraft, boats, office equipment (such as chairs) and gym equipment as well as fleet operators, to work like new again! Many of our customers have required struts for their vehicles that are long out of production and are very expensive to replace with the original factory gas struts. 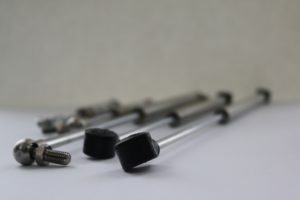 At StrutWise we can provide you with a gas strut that is just as good as an original for your vehicle at a much lower fraction of the cost to purchase a new gas strut. Click here to see the wide service area for gas strut repair and replacement we cover. 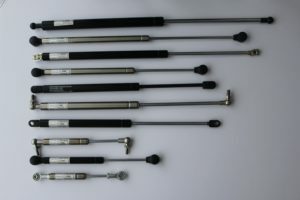 Are you needing a custom design for you gas strut? At StrutWise Technical Services, we can also custom design for applications in need of higher or lower load rating, or specific strut or size requirements. If you have any questions or queries relating to you gas struts please contact us via the website and we will be happy to advise you on the best way we can help you.